As wildfires continue to rage in California, toxic smoke is filling homes, apartments and businesses with airborne carcinogens that may cause cancer, heart disease and respiratory problems like asthma. The fine particles of burned materials in smoke embed themselves into our lungs, causing burning and irritation in the short term, but exposure to fire smoke is treacherous, and has been linked to serious diseases and even premature death. With the possibility of over 1,500 invisible and potentially toxic substances contaminating your air space right now, poor quality air from fire smoke can aggravate heart, lung, and inflammatory diseases, causing acute symptoms and hospitalizations. 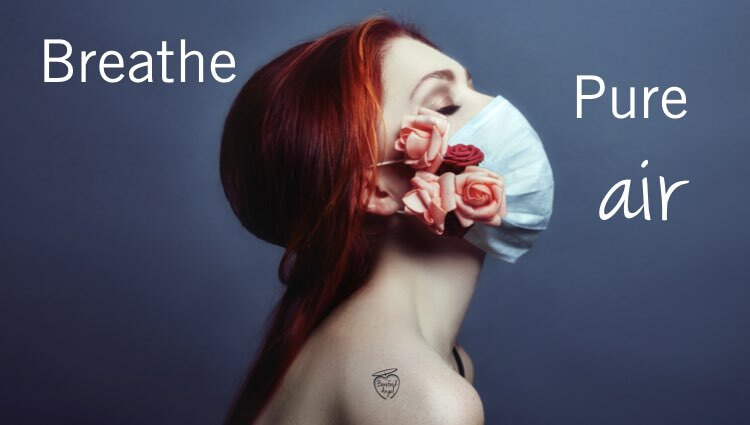 We are exposed to a wide variety of airborne particles and contaminants on a daily basis whether we are at home, in the office, driving, or being in public spaces. 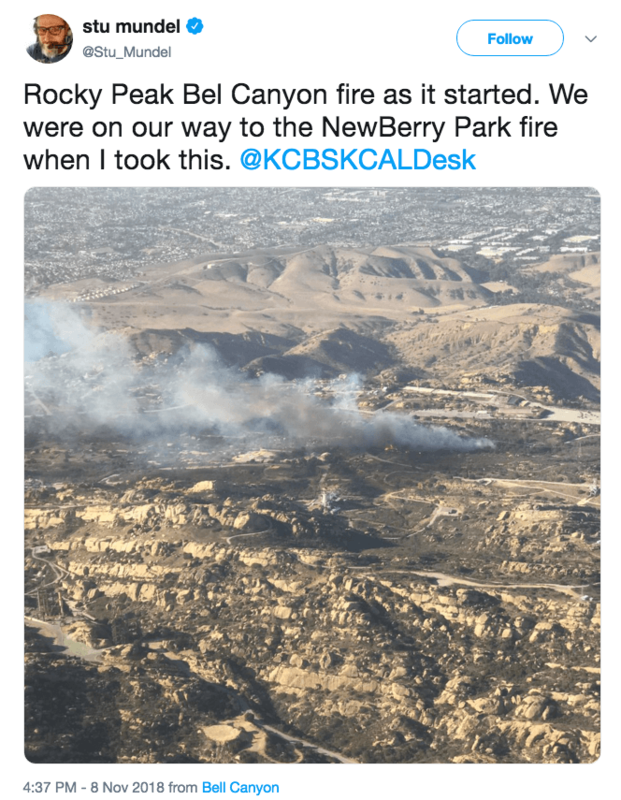 Additionally, as the Woolsey Fire made its way across Ventura County, it burned around the Santa Susana Field Lab1)https://www.psr-la.org/massive-woolsey-fire-began-on-contaminated-santa-susana-field-laboratory-close-to-site-of-partial-meltdown/?fbclid=IwAR1VSuVOY8O-zqDQC4XAydt2dK4TFomwK1a0yGXFKVpyR4AGB6qQfU7fz3w, a site that has been considered “significantly contaminated” by decades of rocket and nuclear reactor testing and a partial nuclear meltdown in 1959. The fire burnt through area four. That area had plutonium under ground. Residents are worried smoke created near the hazardous site could prove particularly dangerous. The Department of Toxic Substances Control released a public statement2)https://www.dtsc.ca.gov/upload/Community-Update-on-Woolsey-Fire-and-SSFL.pdf claiming there was no immediate cause for concern about smoke from the site that actually started at area 4 of the field lab where plutonium was buried underground. Santa Susana Field Lab3)https://data.nbcstations.com/national/KNBC/la-nuclear-secret/ was used for testing by various agencies starting in 1947. The site–which was chosen in part because, at the time, it was far from residential development–was used to test rockets, weapons, and nuclear technology. There were ten experimental nuclear reactors at the lab, one of which went into partial meltdown4)https://psmag.com/environment/50-years-after-nuclear-meltdown-3510 on July 12, 1959. 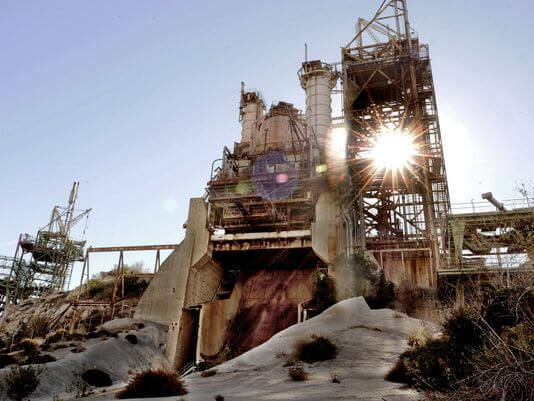 An effort to clean the site5)https://www.vcstar.com/story/news/local/communities/simi-valley/2018/08/21/simi-valley-santa-susana-field-lab-cleanup-delayed-again-nuclear-meltdown/978261002/ has suffered many delays because the department of substance control didn’t do its job and protect the residents and the environment. On November 13, 2018, only six days after the first fire breaking out, the Los Angeles County Department of Public Health Department released a statement on Santa Susan Field Laboratory saying that “there was no discernible level of radiation in the tested area”. This is the same agency who in 2007 issued a consent letter to Ventura County Supervisor Linda Parks endorsing the use of hydroflurosilicic acid (not the naturally occurring mineral but the chemical by product of manufacturing companies) in our public water municipal systems: based on other agency’s endorsement. No reference to toxicological reports were given. Maybe that is because there was none. Indoor air pollution is made up of solid and liquid particles that are suspended in your air – or particulate matter. These suspended particles can consist of dust, metals, smoke, liquid droplets, chemicals and pollen. And most contaminants aren’t visible. These pollutants can contribute to the development of allergies, headaches, general fatigue, thyroid disorders, memory and fertility issue and even more serious conditions like cancer or nervous system disorders. Substances like formaldehyde, certain VOCs and flame retardants are known or suspected carcinogens. Air is a precious resource. We’d die in moments without it. We can die from it slowly and painfully if the quality is polluted. If you can not move or be in a space where air is pure and clean, create that space. Nature has provided many air-purifying plants6)https://www.huffpost.com/entry/best-houseplants-destress_n_2964013 that can help to reduce the amount of toxins floating in the air of your home. There are many other houseplants that can help to filter the air you breathe and keep your living space fresh7)http://www.fresh.news/, clean and oxygenated, but these are definitely some of the best. English Ivy is hands-down the number one air-purifying plant to grow indoors. It’s got incredible filtering abilities — it can even remove formaldehyde from the air! Aloe vera plants are another great choice for air-cleansing. They help to boost the oxygen levels in your home, and absorb toxins such as formaldehyde, carbon monoxide and carbon dioxide from the air. 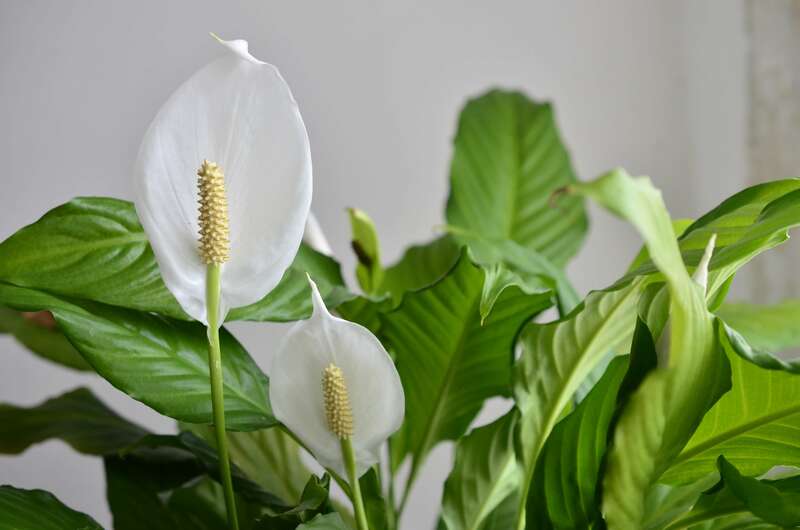 Peace lillies are another great low-maintenance option for removing toxins from the air. Spider plants are known for their ability to absorb toxins like benzene, styrene, carbon monoxide and formaldehyde. One spider plant can effectively filter a 200 square-foot room! Snake plants are unique in that they release carbon monoxide from the air and release oxygen at night, rather than during the day, so having one in your bedroom might even help you sleep better. The red-edged dracaena is a striking, tall plant that pulls double-duty as both a great decoration, and an air-purifier. The dracaena filters out several toxins from the air, such as xylene, trichloroethylene, and formaldehyde. You may even want to see about buying a little potted plant for your desk at work, if you can. For something more heavy duty, here is a portable, high-efficiency particulate air (HEPA) filter, which can capture ultrafine particles. Captures and traps 99.99% of ultrafine particles and microorganisms down to the size of 0.007 micron passing through the system. DFS reduces bioburden and inhibits microorganism’s growth through Microbiostatic condition, resulting in the most powerful indoor air purification in the world. Take proactive action. Demand change. We need incoming governor Gavin Newsom to do something – sign the petition with me. Kim Kardashian and two of her sisters shared a Change.org petition which called for an investigation into the potential radioactive chemicals released by the wildfires. Here is Kim Kardashian’s FB page post. Joel Grover investigative reporter with NBC LA is a hero. His investigative reporting is courageous. Let’s rally behind him as well to get the message out loud and clear to our agencies who are employed by us and because of our tax dollars to protect us. Don’t assume the agencies are not swayed by deep pockets.